Our ladder reviews also includes scaffolding, lifts and support systems. We’ve covered the Little Giant SumoStance ladder which can handle offset footing. The Ladder Grabber EXT was a cool accessory for carrying ladders more ergonomically. The Gorilla GLF-5X hybrid ladder is also a neat product—a combination between a step ladder and a podium ladder. One of the newest products to market is the Werner PD6210-4C fiberglass podium ladder with casters. This is a really useful tool that makes use of new OSHA guidelines for getting to heights safely and securely. It’s these types of tools that are pushing the envelope. 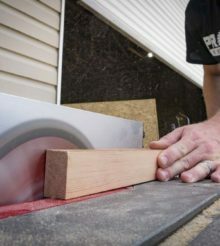 More and more products are making use of better ergonomics and safety in their tools. 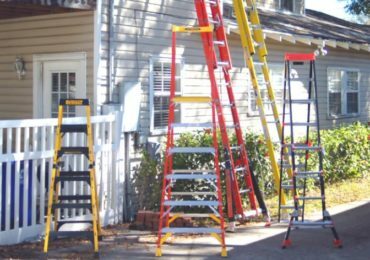 Ladders may seem to be simple products, but the truth is that tradesmen need them to do their jobs efficiently. With new models hitting the market every year, it’s important to know which products will make the job safer and easier.